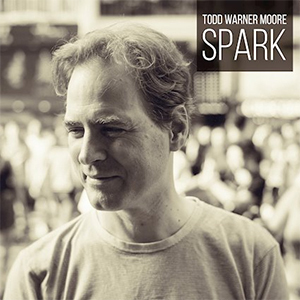 Todd Warner Moore is an accomplished singer-songwriter from Kansas who has lived in Hong Kong for the last eight years, and he has recently released his second full-length album, Spark. Inspired by the rootsy folk traditions of Bob Dylan and Neil Young, Moore’s voice and persona is far more genuine and authentic than much of the other artists in the genre today. 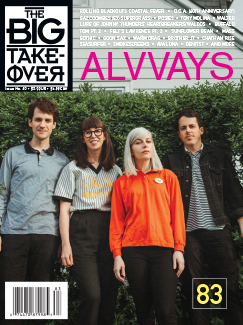 Spark is a sparsely produced work, consciously stripped back to the bare essentials, but there’s still an expansive warmth to the proceedings, replete with an ingenious use of percussion and a delicate employment of strings. Each of these elements enhance the lyrics and Moore’s vocals, rather than drown or overshadow them. Moore is equally capable of soft, tenderly romantic moments such as the intimate “Gift” or the torch-carrying “Gem” as he is with songs like “In the Water” which are playful, miniature pop snapshots that sound as if he writes them off in his sleep. Yet every song is crafted with a deep understanding of the inner workings of the genre, and like Paul McCartney’s early albums, he’s as content with the small moments as he is with grand statements.Spark is brimming with as much heart and soul as technical skill, and it must easily rank as one of 2018’s most flawless folk albums.